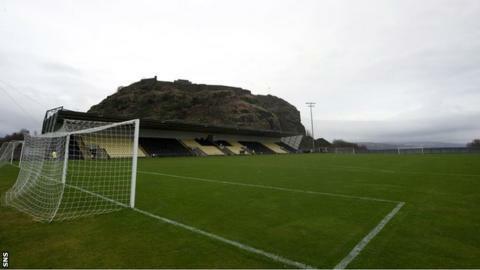 Tuesday's Scottish First Division match between Dumbarton and Raith Rovers has been postponed due to a frozen pitch. The game at Dumbarton's Bet Butler Stadium had initially passed a 1600 GMT inspection, but then failed a second one at 1830 GMT. It means Cowdenbeath v Partick Thistle is Tuesday's only game in the First Division. Dumbarton are scheduled to play Cowdenbeath on Saturday, while Raith's next game is at Falkirk next Tuesday.